Timberline is Your Source for Integrity Windows! 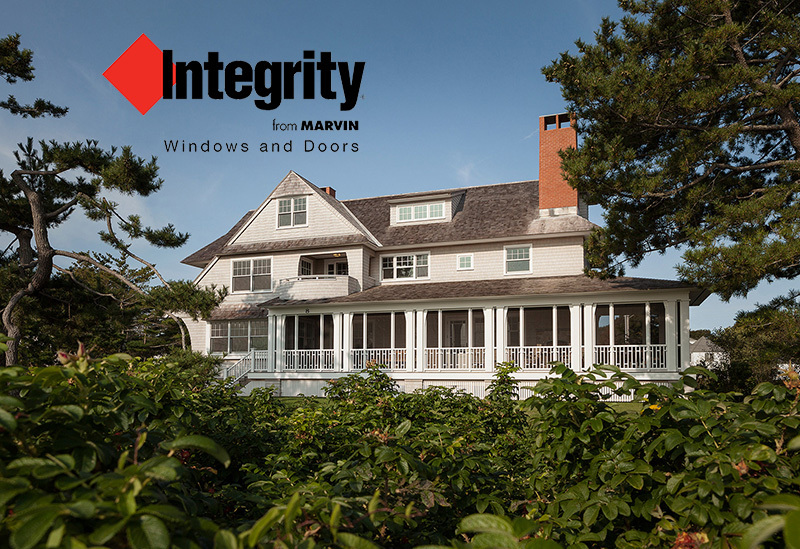 Why Choose Integrity Windows from Marvin? Integrity windows are made with Ultrex®, a pultruded fiberglass Marvin has patented that outperforms and outlasts vinyl, roll-form aluminum and other fiberglass composites. Integrity uses Ultrex and their proprietary pultrusion process to manufacture high-demand windows and doors that endure all elements without showing age or wear. Timberline’s customers live on or near the coast. Homeowners in Gloucester, Beverly, Newburyport and Billerica know how important it is to use durable products for both new construction and remodeling projects. Integrity windows are Built to Perform® in the face of Mother Nature’s toughest elements. The Ultrex pultruded fiberglass that goes into every Integrity window and door remains stable in extreme temperatures and expands at nearly the same rate as glass, resulting in windows that are strong and true. Fiberglass windows have a 38% longer* useful life expectancy than vinyl. * “Life cycle assessment of windows for the North American residential market: Case Study” by the University of British Columbia Scandinavian Journal of Forest Research, 2008.